Some nights we take any chance to take a little breather and debrief ourselves on the calls we've done. Although most of us are very confident we're our very worst critics when it comes to our work. I'm retired now but I can't count how many times I've done this. A very "story-telling" shot. Love the PP. 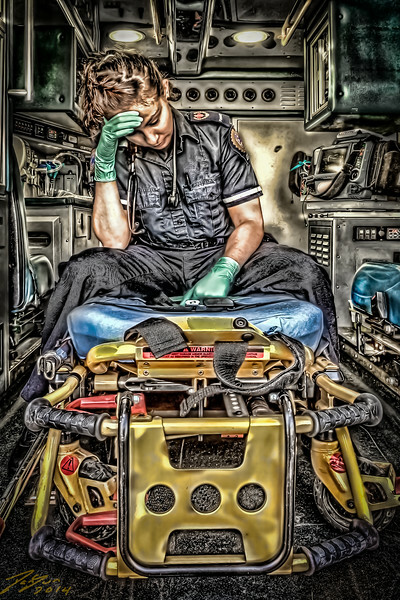 I have sat on the stretcher just like that.. And cried my heart out, when no one was around. But then a tone drops and you pick yourself back up and go at again. Thank you for showing this side of us.